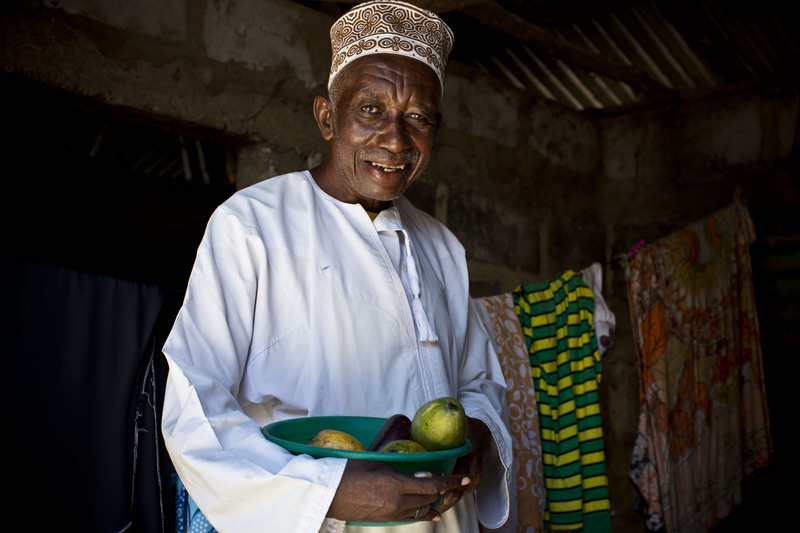 In April 2016 Zanzibar became the first state in East Africa to provide older people with a social pension, thanks to lobbying work by Age International and our partner HelpAge Tanzania. 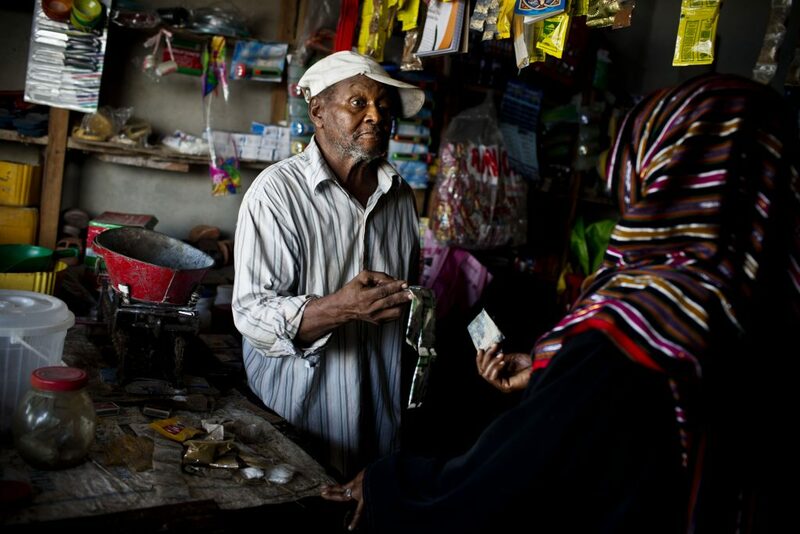 Now, anyone over the age of 70 can receive 20,000 Tanzanian Shillings (£7.30) a month. On the first anniversary of the scheme, Age International visits older people in Zanzibar to see how their lives have changed. 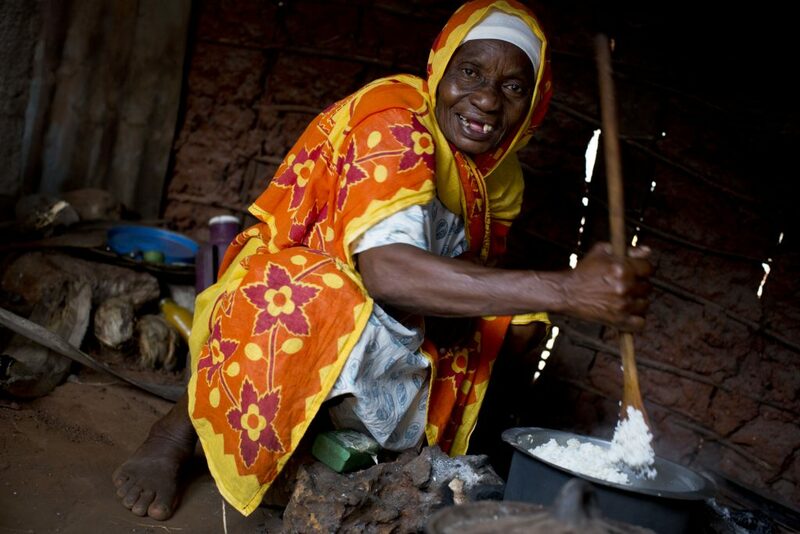 Asherjuma is no longer dependent on her family to give her money and food. Asherjuma is a widow, caring for her teenage grandson. Her grandson was not attending school and his parents were worried he would drop out, so they sent him to live with his grandma. Asherjuma uses the pension to buy essentials – and invests the rest in a small farming cooperative made up of other women in her local village. She has even been able to buy school books for her grandson, who has just passed his recent exams and is now in his final year of school. When she collects her pension this month, the first thing she plans to buy is soap. Cassim’s shop sells essentials like flour, oil and shampoo. Before receiving a pension, 74-year-old Cassim was working as a cleaner. The work was tiring and he was struggling to support his family. The new pension system increased his regular income by 50%, allowing him to set up his own shop. ‘I chose to run a shop because it doesn’t require much energy,’ he shared. Age International, with our partner HelpAge Tanzania, has played a significant role in influencing the Zanzibar government to introduce a universal social pension. Pensions are vital to help older people and their families avoid poverty. We hope that Zanzibar will be one of many countries introducing a pension scheme in East Africa, as we continue to raise awareness of their importance and work with governments in the region.